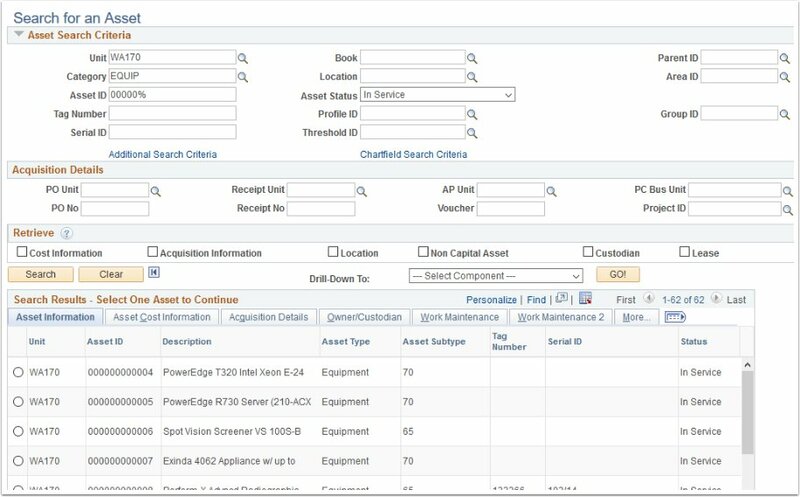 Purpose: Use this reference to search for an asset and quickly transfer to other asset components to review asset details. 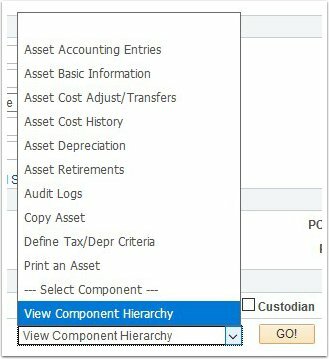 The Asset Search page lets you use a variety of criteria to search for assets. 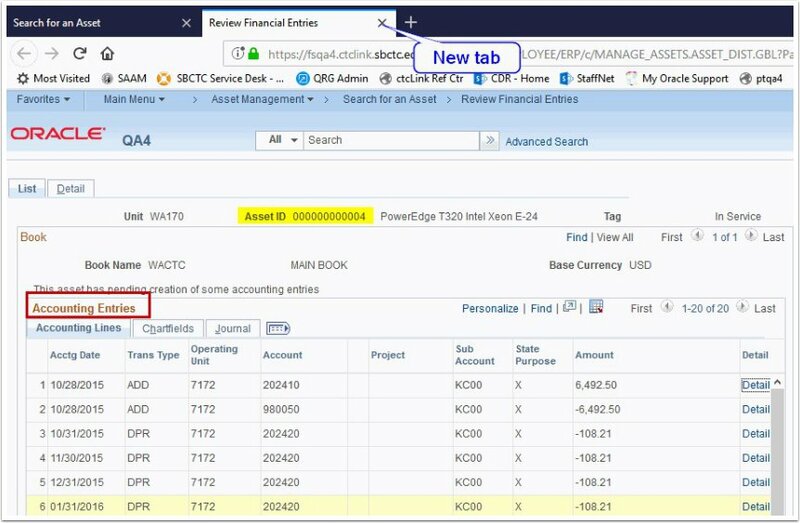 From the search results, you can transfer to other asset components, for example, to the accounting entries or the depreciation schedule. The new components will open in a new tab/page so you can return to the search results and transfer to a different component to view whatever details you need about an asset. The Search for an Asset page lets you define just about any attribute you can think of to refine your search results. You can also search by Acquisition Details - PO, Receipt, Voucher, even Project. You can use a wildcard (%) in the criteria as well, and you can elect to have the search results include various details such as Cost Information, Acquisition Information, Location, etc. Enter your criteria and click the Search button. Click GO! to transfer to that component. Notice the Search for an Asset tab is still open so you can drill down to another component quickly and easily.